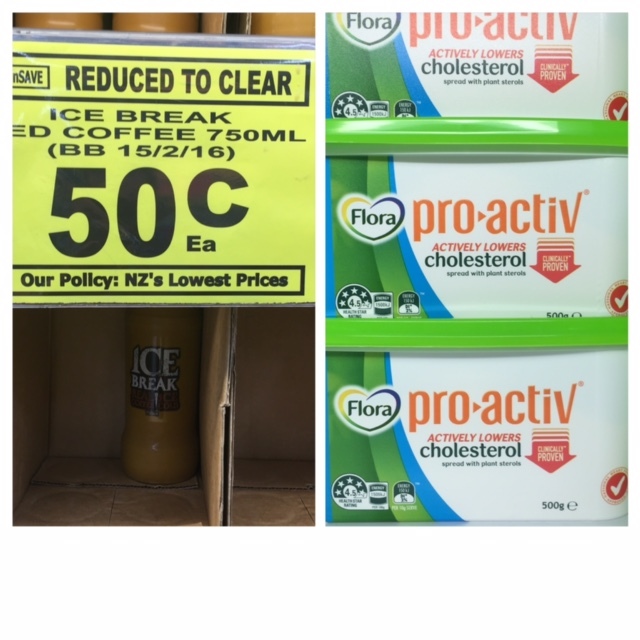 I was at the supermarket yesterday and just happened to be taking a picture of an iced coffee drink when someone came beside me to grab a couple for themselves and put them in their trolley alongside a pottle of Flora ProActiv margarine. Heinous drink containing 75g sugar on the left, and overpriced margarine on the right. JICYWW. There’s a disconnect right there. These margarines are not only ridiculously expensive and taste terrible (I suppose that’s the nature of margarine anyway), but consuming this spread in an effort to reduce cholesterol levels is totally misguided. Don’t get me wrong. They work. In fact, a good friend of mine did her Master’s project at the same time as I did to show their effect at lowering LDL cholesterol in a clinical trial. There have been more than a handful of randomised controlled trials that show plant sterols can inhibit cholesterol absorption and reduce LDL cholesterol. Interestingly, even the American Heart Association released a statement saying the use of sterol and stanol esters should be reserved for adults requiring LDL cholesterol lowering because of hypercholesterolemia, or as secondary prevention after an atherosclerotic event – and these have yet to be updated. Eat more vegetable fibre. Fibre is the ‘f’ word that is super important but doesn’t receive nearly as much press as the other ‘f’ word (fat). Current recommendations are 28g for females, and 34g for males and we are currently consuming an average of 20g per day. Fibre comes in a few different forms and while soluble fibre has been found to lower cholesterol absorption – this is not the most important aspect to my mind. A few people (who may have a genetic defect that makes them hyperabsorb fibre, or have a defect on their LDL cholesterol recpetors which limits their cholesterol uptake and removal) would benefit from this in particular. Moreso, eating more plant based fibre shifts us back to an eating pattern that, as Eaton & Cordain point out, we consumed for over 99% of human evolution. And while estimations of fibre intake of Hunter Gatherers vary (as pointed out by Steve in this excellent blog post), the point is: we don’t eat enough of these plant-based foods and we need to eat more AND more from the sources of foods which are as close to their natural form as they can be. You’ve heard of the 5 a day campaign? I say we should aim for 9 – and mostly vegetables. This is particularly true if you do have underlying inflammation that is driving up your cholesterol level. There different types of fibre and soluble fibre is known to absorb cholesterol and remove it from food you eat and your bloodstream. This level of detail is certainly useful if you have a genetic predisposition towards a high cholesterol level which places you at risk (i.e. familial hypercholesterolemia). However, to keep it brief: if you’re currently barely managing three serves of vegetables a day – work on increasing vegetables in general. Natural sources of fibre from plants will deliver soluble and insoluble fibre, along with resistant starch. This is a good place to start. Ditch processed food. Sounds dramatic I know – and it’s not realistic to ‘never eat anything in a packet’. However if most of your daily calories come with a nutrient information panel and an ingredient list, then you seriously need to reconsider what you are putting into your body. Processed food is devoid of nutrients in the forms your body requires, contains additives and preservatives, some of which have a dubious health profile and takes very little energy to digest. This leads to peaks and troughs in your blood sugar levels, poor appetite control and the potential to overeat. Ditch sugar. No surprises here. Sugar not only increases your risk of metabolic syndrome that can result in type 2 diabetes and increased cardiovascular disease risk, it drives almost all inflammatory pathways in the body. Thankfully though, if you try hard to stick to #2 above, you’ll do this by default. Do note though, minimising sugar includes all forms of sugar – including the ‘natural’ forms. If you’re unsure of what a sugar is, print out this PDF which tells you the 56 different names to burn into your brain for your supermarket shop. Lose weight. 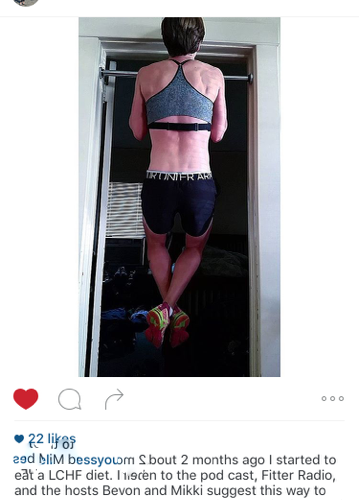 Or, more specifically, lose body fat. Being obese is an independent risk factor for cardiovascular disease, type 2 diabetes, neurological conditions and some cancers. Yes there are certainly limitations with how we define ‘overweight’ or ‘obese’, but you don’t have to rely on tools to establish whether or not you need to lose some additional fat around the middle. You know this yourself. Increase your intake of omega 3 fatty acid rich foods (think salmon, mackerel, herring and sardines) and consider an omega 3 supplement if you don’t eat fish. I know – you’re thinking ‘what about plant-based sources’? truth is, these don’t contain the type of long chain fatty acids that are most beneficial for reducing risk of chronic disease, and their conversion rate into those forms is quite poor. Eicosapentanoic acid (EPA) is the omega 3 that is involved in reducing inflammation, and if you do have high cholesterol and inflammation, then a supplement such as this Nordic Naturals could be worthwhile taking. While a very recent clinical trial failed to show improvements in total cholesterol with the addition of an omega 3 supplementation, it did show a reduction in fasting blood sugar, triglyceride levels and c-reactive protein (a marker of inflammation in the body). And as I said, your cholesterol level might not be the most important metabolic marker to focus on anyway. Vegetarians especially would benefit from supplementation, and an algae supplement would provide a similar benefit. Get out in the sun…. and get your vitamin D levels checked. There is an association between low vitamin D and poor metabolic health – studies have shown a link between high sunlight hours and lower cholesterol levels at a population levels. This is due to the exposure of skin to the UVB rays that uses cholesterol to create vitamin D. However, a large percentage of New Zealander’s are below adequate levels. For best and safe practice, sun exposure, minus the burning, for 10-15 minutes where parts of your skin not often seen by the sun (for maximum absorption) are exposed (think: armpits, abdomen – unless you’re young and gorgeous) is best. The thing is, though, the sun doesn’t hit the earth at the right latitude to get any of those rays to produce vitamin D in winter, so we can be lagging even more coming into spring. So supplementation could well be required. In addition to the mechanism above, studies (like this one) have shown that higher dose vitamin D supplementation can lower cholesterol and inflammatory markers in women. If supplementing, choose a supplement that also includes vitamin K2 to help vitamin D’s absorption such as this Clinicians one. Alpha-lipoic acid (along with other antioxidants vitamin C or E) can provide antioxidant support to help reduce your overall health risk associated with cholesterol levels (i.e. reduce inflammation and oxidative species) by increasing the activity of your body’s antioxidant defences. If you’re wanting to spend your money on actively lowering your cholesterol, these relatively safe supplement options are a better idea than margarine. Your thyroid, your gut, your genetic profile can all influence your cholesterol profile. If your cholesterol is more than a bit elevated, consider investigating other reasons for this. FYI it’s now easier to get your LDL cholesterol tested, rather than calculated, including those which are more atherogenic, such as VLDL, oxidised LDL if you do have concerns. You can work with a practitioner to do this. Exercise. Free and long known to improve metabolic health. The arguments for or against the benefit of exercise for losing weight are irrelevant. Mood, lean muscle mass, cardiovascular fitness and general all around awesomeness will increase. It doesn’t mean you have to slog it out in the gym. 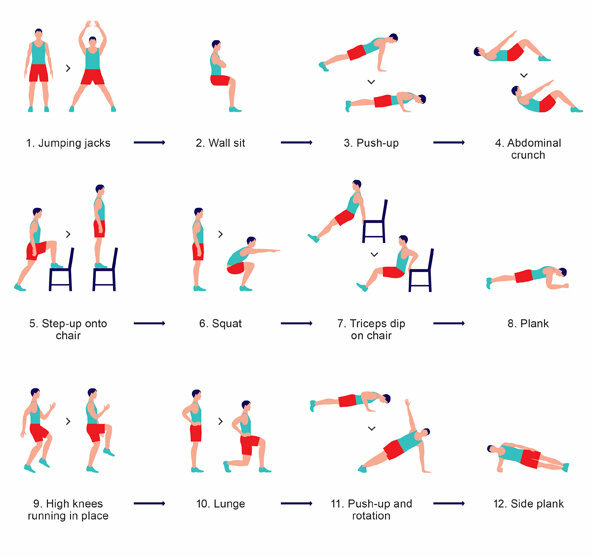 Body weight exercises and some short, sharp, intense exercise a couple of times a week – combined with walking and general movement as much as you can – is most effective for health and wellbeing. If you like to track your details then get a Fitbit or a Garmin or similar. If you obsess over numbers then don’t. Stress less. Sleep more. And if you are losing weight, and doing all of the above, wait for your weight to stabilise before worrying too much about your cholesterol levels, which can be elevated during this time.